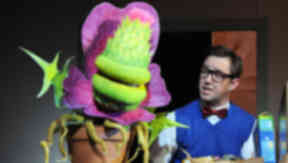 The 92nd student show is based on cult 1980s classic Little Shop of Horrors - with a Doric twist. An institution of the theatre calendar, the annual Aberdeen Students' Charities Campaign show is a perfect example of how hard work, dedication and the ability to poke a little fun can shed the image of the typical idle undergraduate. Now in its 92nd year, the gala is as well known for its community impact as well as its side-splitting one-liners. Last year’s performance, Mary Torphins, raising a staggering £58,000 for local charities. Hoping to do one better this year, the Spital Shop of Horrors sends up all that’s great and good about Aberdeen in the name of charity, with the likes of Inspire Aberdeen, Parents Plus and Befriend a Child set to benefit from the fundraising performance. Featuring students from Aberdeen University, Robert Gordon’s University and Aberdeen College, the young cast break all traditions of amateur dramatics by putting on a stage show that exudes class, as well as comic capers aplenty. Based on 80s cult classic Little Shop of Horrors, the parody show opens to spectacular style, sending up everything from the City Council to Spike, the talking cactus of Duthie Park’s Winter Gardens. After the rejection of major project which is set to rejuvenate the city, a new crossbreed of plant set for the Winter Gardens winds up in the care of broke florist Seymour, played to perfection by Steven Harmer. Hoping the plant will bring him good fortune, its refusal to grow stuns Seymour, who secretly hopes to win the heart of ditzy but kind shop assistant Millie, played by an adorable Holly Bruce. But her new boyfriend, the mad bad and dangerous to know Ken Fine, a hilarious Andrew Reid, puts a spanner in the works of the pair's budding romance with great enthusiasm, to the delight of the audience. Despite his bad luck, a surprise discovery involving a local delicacy may be Seymour’s ticket to changing his fortune. The principle cast deliver the script beautifully, bouncing off each other with impressive comic timing, but the rest of the cast execute such hilarious background antics it’s hard to keep your eye on the forefront. A particular highlight wasthe confused crowd in a well-known hardware store, struggling with bags of cement and tins of paint to rapturous laughter as the cast attempt to get the lines out. But the biggest surprise is the quality and strength of the cast’s voices, belting out popular tunes repackaged in a Doric accent that both impress and evoke smiles. Rhianne Reid, a member of the charities' publicity team and the show’s cast, said Wednesday’s opening night was hectic but an enjoyable experience. She said: "The general feel of all the cast and production team last night was buzzing, we were overwhelmed with our audience’s reaction and we can't wait for tonight's run too!" With funds raised through ticket sales, programmes and loose change buckets, there are plenty of opportunities for the group to improve on last year's target and Rhianne hopes the group will make it. She added: "Last year we raised £58,000 and want to beat that this year." The Spital Shop of Horrors runs at His Majesty’s Theatre until Saturday, April 20 and tickets can be purchased from the Aberdeen Box Office website. For more information on the show, please visit the Aberdeen Student Show Website.